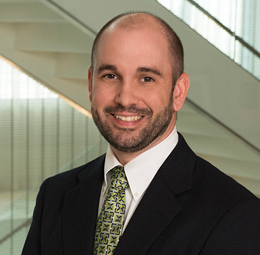 Greg Stevens practices in the area of commercial litigation. His practice primarily consists of a balance of tort defense and workers’ compensation defense, with particular focus on clients in both the oilfield and health care industries. He represents many self-insured companies who face unique issues of exposure, risk management and claims handling, and he routinely assists those clients with advice and legal defense in all such aspects. He also has experience defending clients in complex litigation involving medical malpractice, products liability, premises liability and commercial contract disputes. A large part of Mr. Stevens' practice consists of representing companies in the oil and gas and oilfield service industries in complex litigation arising out of both onshore and offshore incidents. He has defended companies in litigation concerning potential exposure for accidents involving natural gas pipelines, compression services, down-hole drilling, well perforation, and other various oilfield services. He has defended numerous claims arising out of oilfield fires, explosions, and industrial accidents to successful resolution, and has broad experience in litigating such matters arising under both state and federal law. He also routinely provides advice to clients on the enforcement of indemnity and insurance provisions in master service agreements in light of the provisions of the Louisiana Oilfield Anti-Indemnity Act and the effects of same on exposure and defense obligations in complex oilfield litigation. Mr. Stevens serves as lead counsel on numerous workers’ compensation matters for a major health care conglomerate, and has extensive trial experience before the Office of Workers’ Compensation defending various clients in all aspects of the Louisiana Workers’ Compensation Act. He provides advice and legal services to clients within the health care, oilfield services and casino industries with regard to managing and defending claims arising out of alleged workplace accidents. He has tried several cases to successful conclusion before the Office of Workers’ Compensation, and has handled multiple other matters to efficient and cost-effective resolution throughout the state. Mr. Stevens has particular expertise in handling and resolving claims while protecting clients’ interests regarding future exposure under the Medicare Secondary Payer Act. Mr. Stevens also has experience defending pharmacies and medical providers in malpractice claims before the Patient’s Compensation Fund and medical review panels, as well as in district and appellate courts. He has successfully extricated pharmacy clients via dispositive motion practice from several complex cases arising out of adverse drug reactions, some of which went on to multi-million dollar verdicts against the remaining defendants. He has extensive experience litigating automobile accident cases, including complex spine injury cases involving alleged residual disability and impaired earning capacity, and has further experience in cases involving recreational vehicles, 18-wheelers, motorcycles, and all-terrain vehicles. He also defends several retail stores and casinos in premises liability actions and false arrest cases, and defends various manufacturers in redhibition suits and complex products liability actions as well. Representation of multiple oil service industry clients in numerous tort and products liability actions related to onshore and offshore explosions, fires, and other industrial incidents. Representation of health care industry clients both in litigation and in risk management advisory capacity in various workers’ compensation and medical malpractice matters. Representation of numerous self-insured companies in tort litigation, workers’ compensation matters, automobile accident litigation, premises liability, and products liability actions. Representation of pharmacy in pharmaceutical malpractice cases involving complex alleged adverse drug reactions. Trial counsel in a variety of litigation in both district court and before the Office of Workers’ Compensation. Handling complex issues related to Medicare Secondary Payer Act in the context of both third-party tort litigation and workers’ compensation claims.